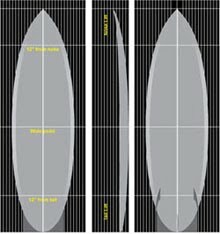 As someone interested in surfboard design, specifically surfboard design from the mid 70's to the mid 80's naturally I've always been fascinated by the concept of the Bonzer or Bonza as it was called in Australia. 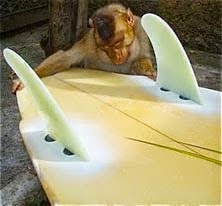 Nick Carrol is quoted as saying "The Bonzer is without doubt surfing's greatest example of a surfboard design slipping through the cracks." 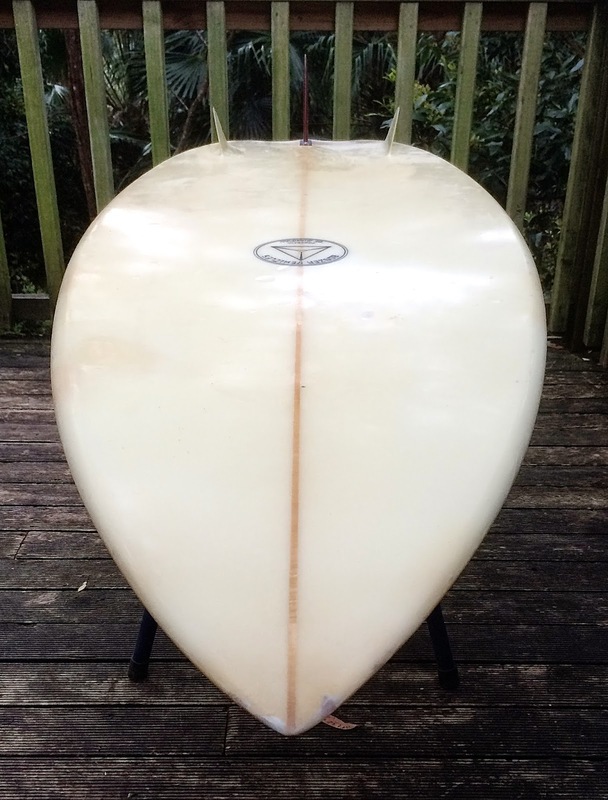 So I was super stoked to get the opportunity to get my hands on this unique Malcom Campbell shaped 6'1" 1/2 Bumble Bee Bonzer. 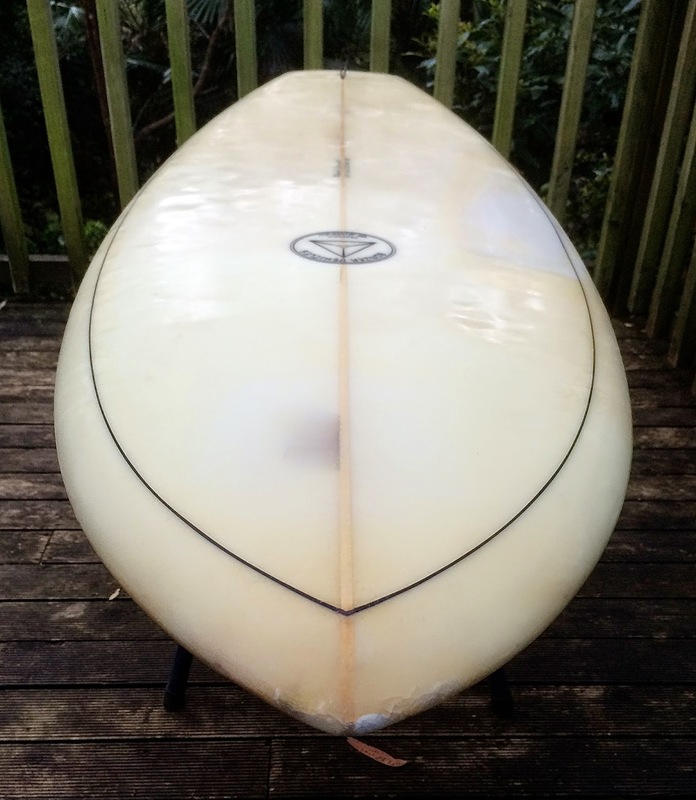 The Bumble Bee is a replica of one of the shapes that Duncan and Malcom rode between 1973 and 1978 and this board is the first of the modern Bumble Bee's. 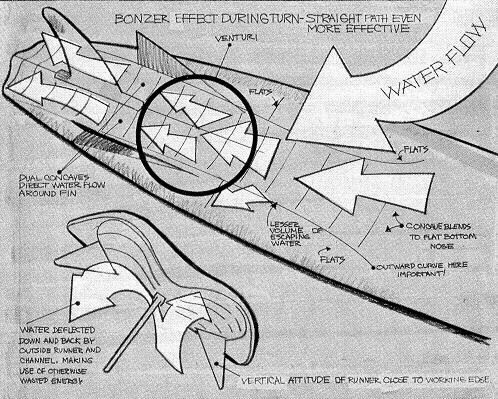 The Bonzer design is famous for its speed and power through turns. 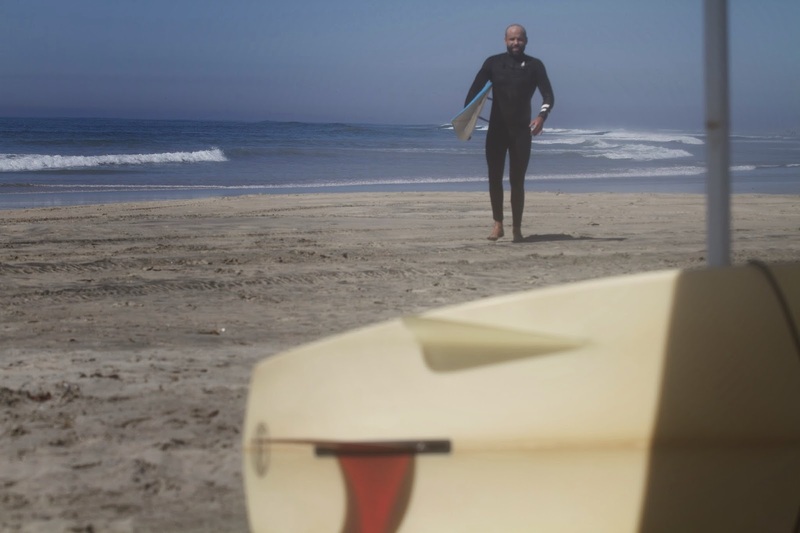 Luckily I got the opportunity whilst I was in California to take it out in some waves that allowed me to properly explore the the different aspects of the design. 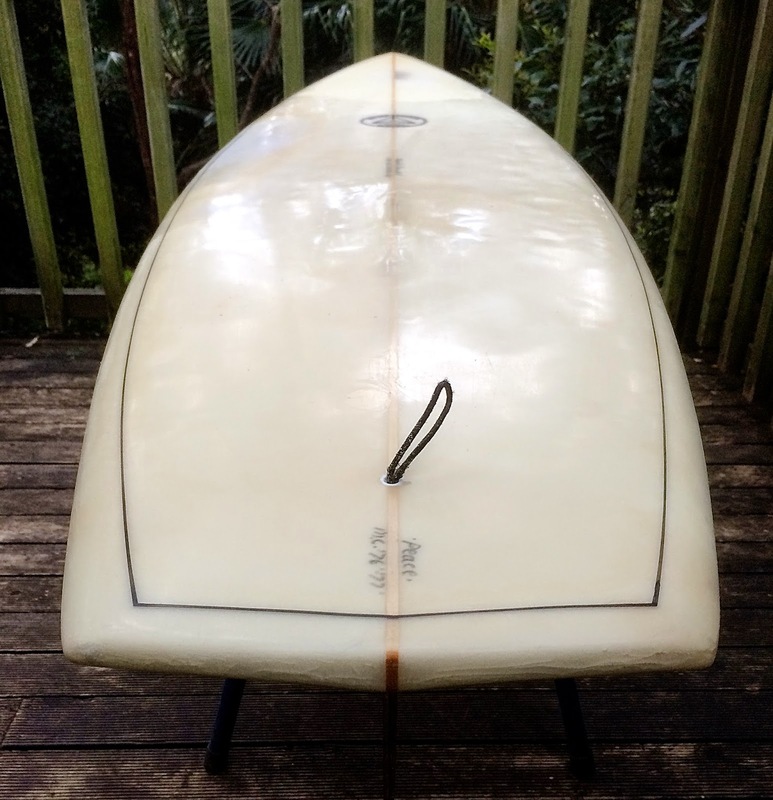 The concept of the single to double concave is one that has been proven and universally adopted by modern surfboard designers and manufacturers. 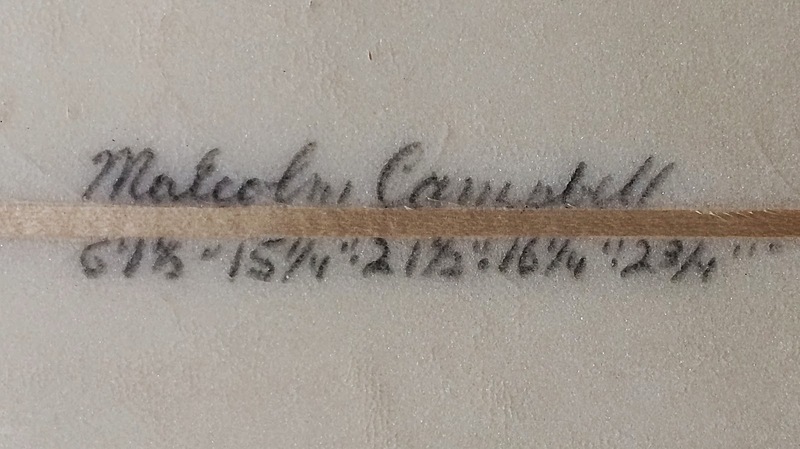 But few have pushed the concept to the level embraced by the Campbell Brothers. 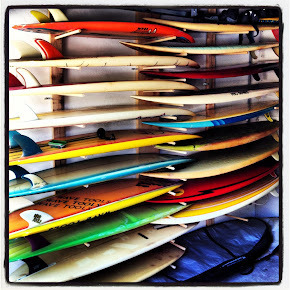 Forward momentum in all surfboards is generated by the pressure of the water pushing against the moving fin. 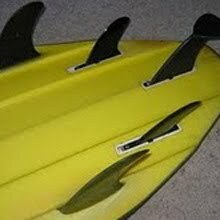 Theoretically the side bonzer fins simply increase the volume and pressure of the moving water against the fin creating thrust. 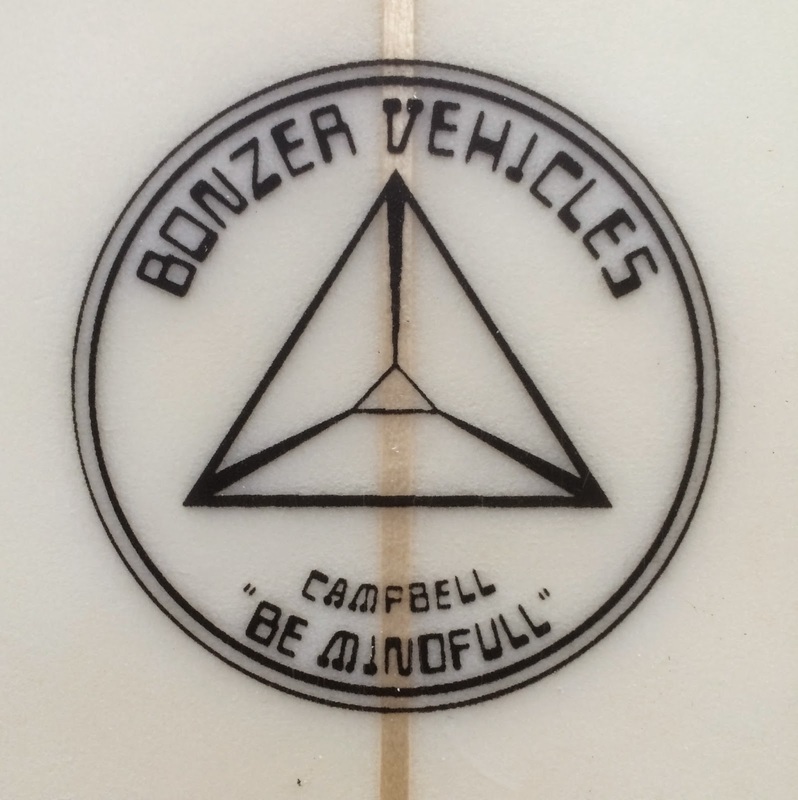 Recently the Bonzer turned 40 years old. 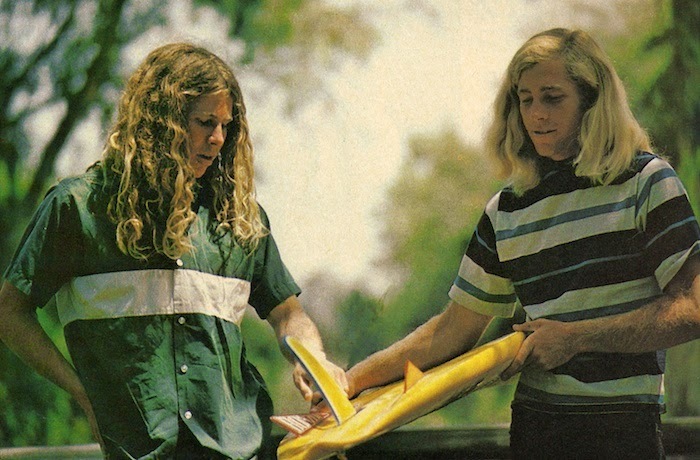 40th anniversary of the Bonzer Part 1. 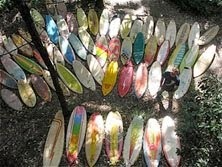 40th anniversary of the Bonzer Part 2. 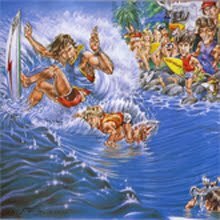 40th anniversary of the Bonzer Part 3. 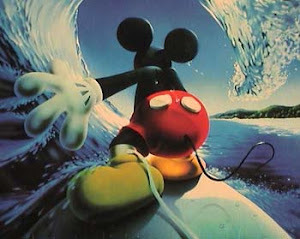 40th anniversary of the Bonzer Part 4. You can actually see the amount of forward drive coming out and off the bottom during the bottom turn on this board. 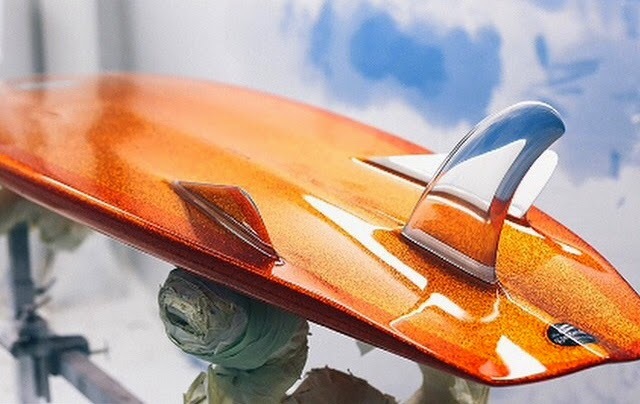 Miguel from Drift approached Malcom with the idea of listing forty notable things to represent the forty years of the Bonzer, he thought it should be easy. 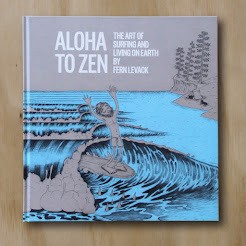 When he actually sat down and began to compile the list, he realized how difficult it is to sum up the ‘Bonzer Experience’ in just forty things. 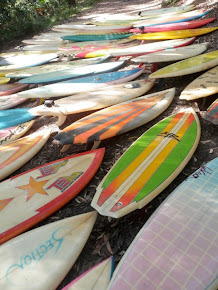 Our lives truly revolved around the Bonzer. It is connected to nearly everything in our lives. 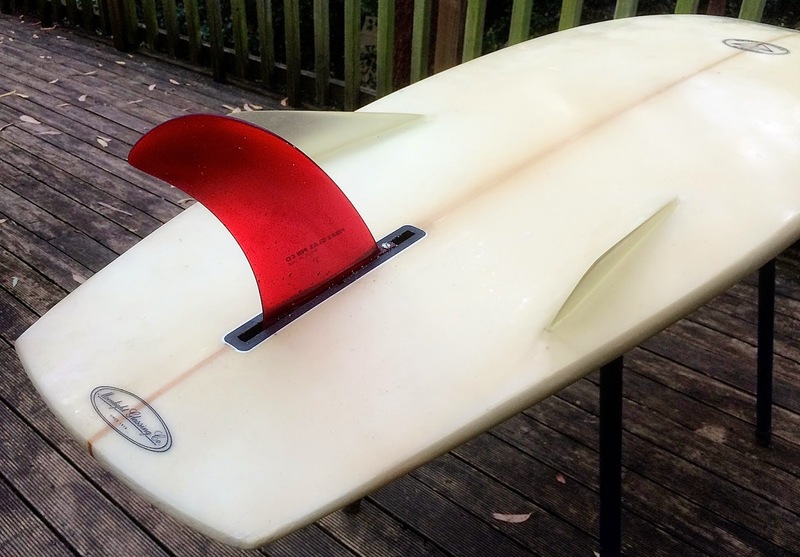 The word bonzer is Australian slang. It means extraordinary or unique. 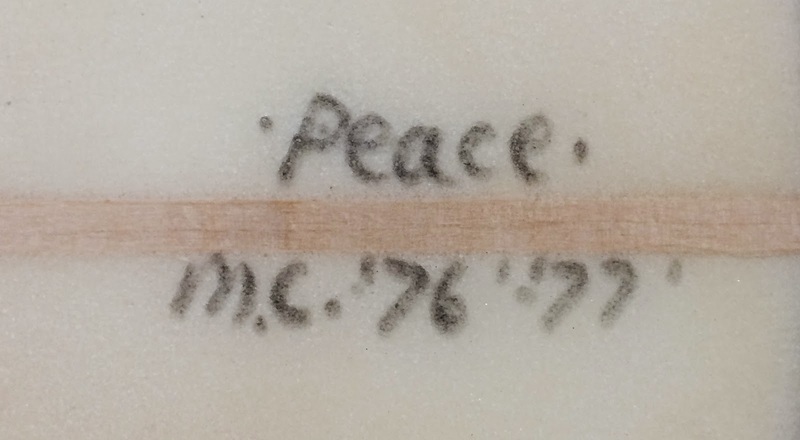 We originally gave this name to our surfboard design, and now forty years later it has come to accurately describe the life we have been fortunate to live. The essence of the Bonzer is people; our mother and father, the people who have influence on us, such as friends, surfers, artists, philosophers, and all the people who have ridden our boards over the last forty years. It is almost impossible to limit to the list to ten. The people listed here represent the building blocks of the Bonzer Experience, and some who have provided us with wisdom and confidence that has helped us stay focused on our mission. Duncan and I believe that for forty years the Bonzer has represented an alternative place of performance and philosophy within surfing. Here are ten physical and mental places that have been important to the development of the Bonzer. 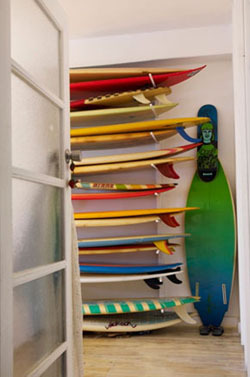 Surfboards are pieces of functional art or sculptures, and vehicles of transportation. They enable us to travel across the water on waves of energy produced by the natural forces of the earth. 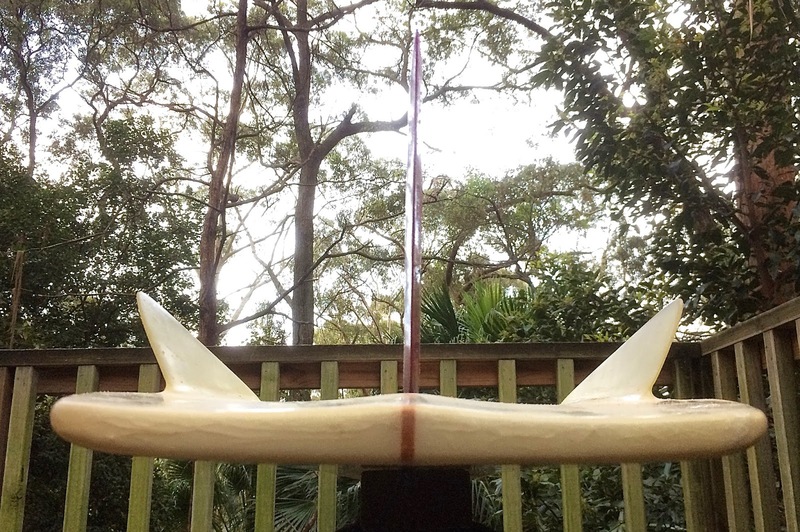 These ten surfboards are special to us. Some of them we have made, and the others have had a big influence on us. 23. 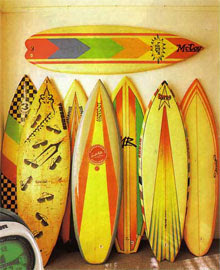 The first Bonzer, a 5'4"
The Bonzer has been at the center of our lives. Events in our lives have influenced the creation and development of the Bonzer, and in turn, the Bonzer has effected the direction of our lives. 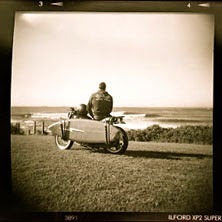 In many ways the Bonzer and life has been one in the same. 40. Being alive to compile this list. Jack Johnson riding a Bumble Bee in Hawaii. A beautiful modern interpretation of the design glassed by the 'Lucky Bastards' in France. 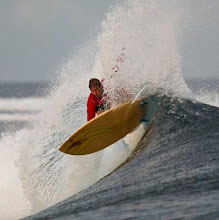 It was my good friend Mike V who took me to this left that truly allowed me to explore the Bonzers capabilities. 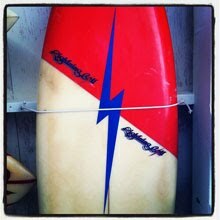 from Campbell Brothers Surfboards on Vimeo. Yeah...But was it really good? I wanna know!